Using the Quality Control Module will enable you to determine which areas are to be controlled – after which The Cleaning System will calculate an appropriate random sample size and take out random rooms from the area for your inspection. The rooms may be printed on paper with a keying form for each room, or transferred electronically to The Cleaning System quality control program, IDEX, for Android and IOS based Smartphones.  You yourself may determine whether you want to inspect the rooms to the principles of INSTA 800, or whether you would rather define checkpoints of your own for the rooms. You may, of course, also opt to do both. Following inspection and keying of results, The Cleaning System will calculate whether the rooms meet the quality requirements expected, and you may print a report showing the overall result for the entire inspection, as well as with part results for each room inspected. With the Quality Control Module you will obtain an efficient and fast control of finished cleaning tasks. SAMPLING PLANS Creation of sampling plans based on needed quality levels and AQL’s in each room to be controlled. The system will then calculate the necessary number of spot tests and the number of rooms in each spot test. INSPECTIONS Random selection of the rooms to be controlled. Transfer of selected rooms to Android smartphones or iPhones. Collection of data for evaluation of the quality of each room. Evaluation of the overall quality in a spot test to ensure if they meet the agreed requirements. REPORTS Transcript of reports for internal and external use after completed quality evaluation.